After receiving the Berroco KnitBits newsletter in my inbox this morning, I knew immediately what I wanted to knit next. Vashon (pictured on the cover) is one of nine projects from the Berroco Vintage and Vintage Chunky pattern booklet. It's a vintage-style waist length sweater with three-quarter length sleeves. There are also high-relief cables that provide lots of texture. I stopped in to Close Knit after work today to buy the booklet, as well as some yarn. 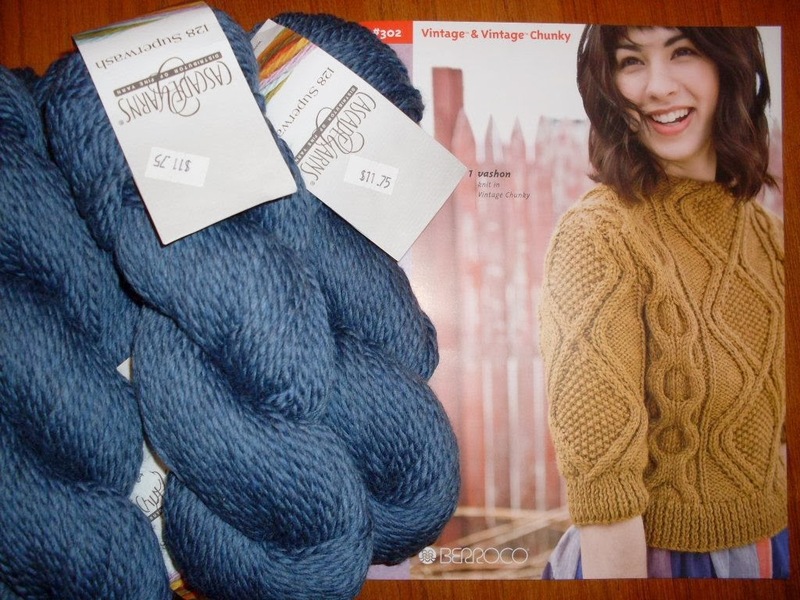 I ended up selecting some Cascade 128 Superwash (100% superwash merino wool) in a denim blue color (1958). I'll start swatching this weekend.